Tutorial - How to Install Dolby Digital Sound on Asus Zenfone 4, Zenfone 5, Zenfone 6, Selfie and you can install it on any zenfone series.. Now you can change sound quality on your device earphone. In preview post we talk about Install Dolby Digital on Zenfone but unfortunately its working with Jelly bean or Kitkat. But now today i share Dolby Digital Application for Lollipop and tested with latest 3.24.40.78 firmware and its working with rooted Zenfone. First of all, you have to download Dolby Digital Apk and Disable App from below link and install it on your phone. After Installed both applications on your device, Now Open disable app and search musicfx application. Just tap on musicfx and tap on OK button to disable it. 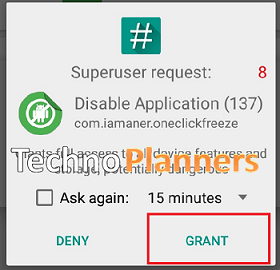 If it ask for Super SU permission, Just hit on Grant Button. Now Go to app drawer and open Asus Music App. Now tap three dot button from upper right corner. Just Select Settings then tap on Fine tune audio settings and enable it. Congratulation, Now you can enjoy your favrate music in Dolby digital sound quality. You can also check out How to Install Multi-user Mode on Asus Zenfone 5 and Zenfone 6. Does it need Root access ? How to Root Asus Zenfone 5 without Computer?